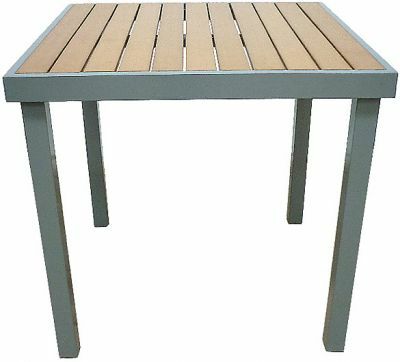 Outdoor table with a powder coated Silver frame and artificial Teak top. Wipe clean and maintenance free. Available from stock for a fast delivery.